When we first got together, we discussed how the magic happened and for these two – it was the racetrack. 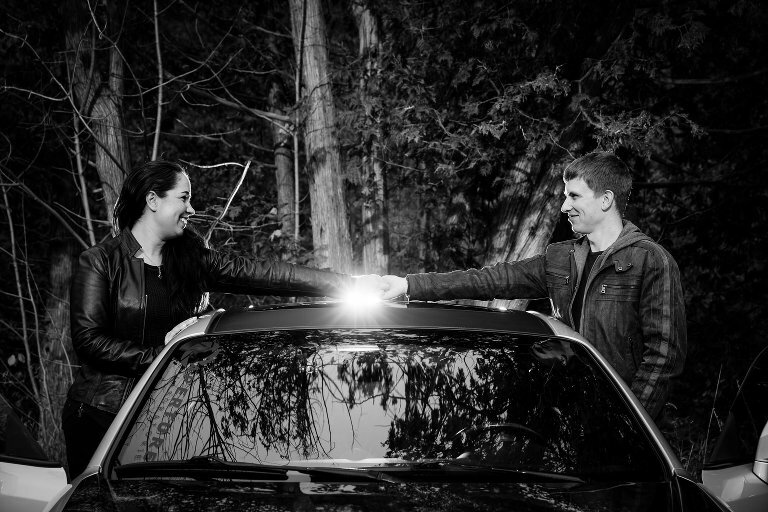 So we combined both of their passions – cars and the waterfalls in Belfountain! I loved hanging out and creating these images and memories for them. Here are a few of my favourites from their e-session. Looking forward to their big day in February.